Cinema halls and Bars play a very important role in today’s frantic life. Whenever we are tired or we want to celebrate, we always consider both of them at first place in our mind. Once Shahrukh Khan said that, “Cinema in India is like brushing your teeth in the morning. You can't escape it.” Well, if we look at our life now a days, we feel the same. After a week of hectic work, we want to forget the tensions of life and enjoy ourselves at the most and movies help us in doing just that. And to take this relaxation to its highest level the youth now a days prefer to go to the bars to have a drink and relax with their friends and families. Nandyal offers both of these mean of entertainments to its people and the travelers. 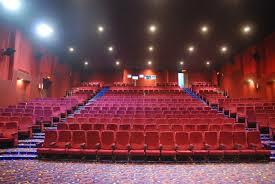 A lot of cinema halls and bars are located in different localities of the city. Most of the theatres located here show Hindi, English and Telugu movies significantly. They also have inbuilt canteen providing snacks and cold drinks and ample space for vehicle parking. One can book tickets online or on phone as well as the facilities of live booking and advance booking are also available.